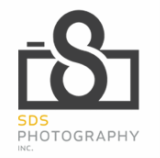 Families & Couples - SDS Photography, Inc.
SDS Photography does offer family sessions as well sessions for couples. Like my other sessions, I do not limit ourselves to time or outfits. I work at it until you are happy but I am mindful of the attention span of young ones. Family sessions will also include images of individual family members. Bring a pet if you like! Sessions for couples range from upbeat and friendly images to romantic. It all depends on the mood you want in your images. Rustic, urban, garden...it doesn't matter. I will find the right setting for you. I will often give tips for you to prepare for the session so that your man or lady doesn't show up in something that just doesn't work!